Just because you're all grown up and quite possibly have little hellions of your own doesn't mean you can't have your own toys. 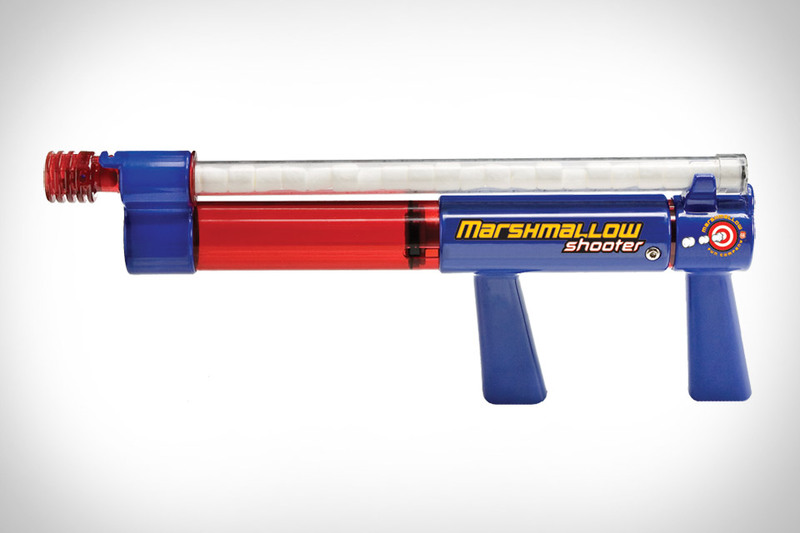 With a range of over 30 feet, the Marshmallow Shooter is perfect for those slow days at the office. It holds up to 20 marshmallows and also shoots foam pellets (20 included) for when that weird dude in the third cubicle down eats all the marshmallows off the floor.